Our bodies speak to us in many ways, and they are particularly good at letting us know when they are unhappy. It's all too easy in today's world to fall into unhealthy habits involving lack of exercise, lack of sleep, heightened stress levels, and of course, our diets. It's true, no one is perfect, and on occasion we indulge in foods that are deemed unhealthy. We may even go weeks, months, or years at a time without setting foot into a gym. The important thing is that we recognize when our bodies begin to feel neglected and make necessary changes to reset our vital systems, enhancing their overall function and improving the way we feel. Oftentimes, overweight bodies are unhappy because they are filled with harsh chemicals found in junk food. These chemicals not only prompt weight gain, they can actually make it difficult to lose weight. Eating an unhealthy diet of processed foods, sugars, and refined carbohydrates, can lead to bloating, indigestion, and increased cravings for these potentially harmful foods. "What was I just doing again? Oh, right." If you have this thought multiple times a day in the middle of accomplishing tasks, there is a chance that your body doesn't have the proper nutrition and energy levels to maintain focus. While this isn't a pleasant topic to address, it's certainly hard to ignore. If you are experiencing bad breath, frequent gas, and you smell bad no matter how much deodorant you apply, your body is trying to push out unwanted chemicals that are brewing inside. Get rid of them! If you look in the mirror and feel like you're staring back at your pimply teenage self, there's a problem. In fact, a number of skin problems, including rashes, are a manifestation of a deeply rooted issue. Rather than trying to clean your skin from the outside in, try addressing the issues that exist within the body and work your way out. If you find yourself having a hard time keeping your eyes open in the middle of the day, either you're sleep deprived or your body is feeling worn down by the unhealthy habits you have gained. If you are sleep deprived, and spend most nights tossing and turning, this could be another sign that your body is in need of a system reboot. Does your system need a reboot? 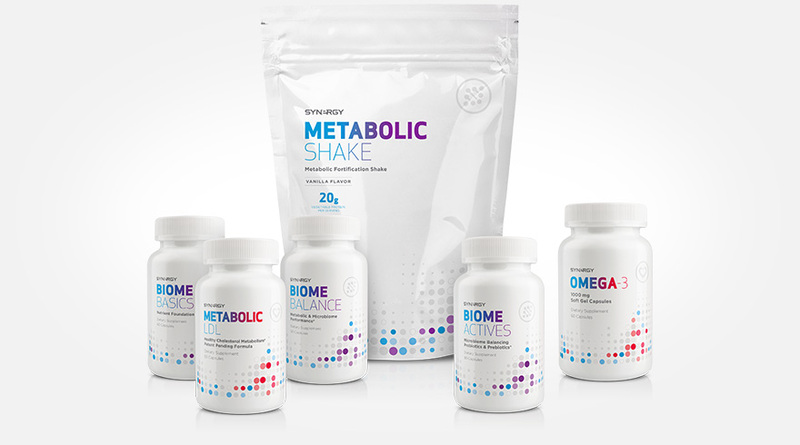 Synergy's Fortify program was designed to support a healthy gut microbiome, improve metabolic function, enhance cardiovascular function, and promote healthy body composition (weight management) all in one organized, proven program. Order your kit today and prepare to be amazed at the results!